watched more than 5 times ?? Care to share your favorite ?? You must of all seen it I'm sure. Probably the "The Muppets Christmas Carol" using the 5 times rules.but I've watched the Lord of the rings a lot too. There are many others that I have frequently viewed, but I'd say the above represents the most frequent. Of those I would say Henry V (Branagh version) is the top. Wolf of Wall Street. Absolutely fantastic film and you get to see Margot Robbie completely naked! I've watched that numerous times and never got bored of it. 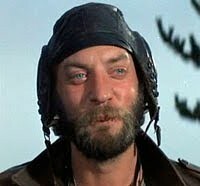 Kelly's Heroes - now that's a blast from the past Maurice ! I think we all wanted to be just like Oddball ! I've had all day to think about it and I have to say I've watched Dances with Wolves more than the requisite 5.